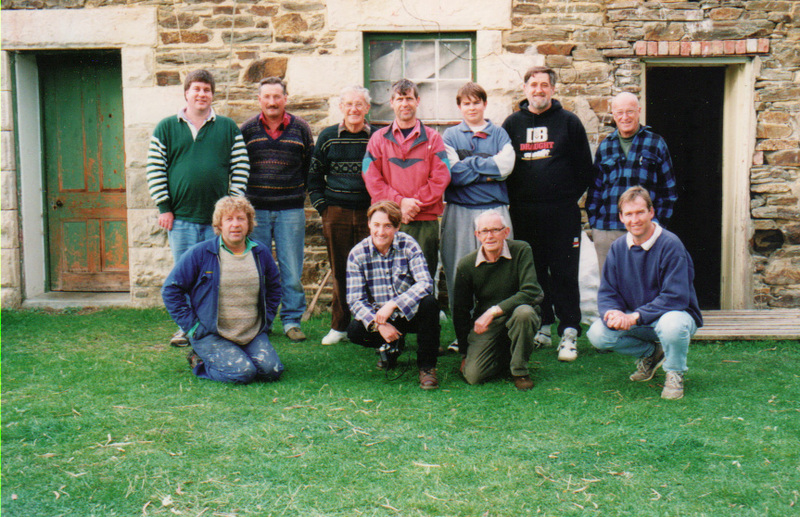 Ron, back row, last on right at an NZDXRA Shag Valley Easter weekend get together. A number of members have spoken about Ron and their comments are reproduced below. taking on in steps the whole editorship of Tune In as numbers of members faded away. Eventually the two clubs merged, at which time Ron stepped aside from any positions of responsibility. His knowledge of DX-ing in many ways exceeded that of Arthur Cushen as Ron covered all aspects of the hobby, not just SW and BC, and he always gave freely of his knowledge. 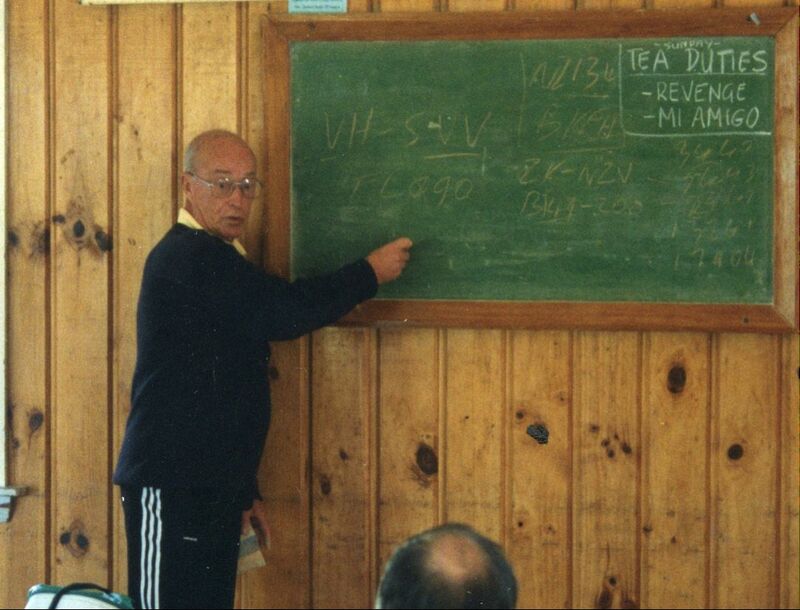 Ron was truly an integral part of the NZRA executive. My first meeting with Ron was shortly after joining NZDXRA in 1964. He was always very practical and shared his knowledge of Utilities. His excellent cooking skills at AGMs will always be remember along with his other fine attributes. Ron will be known for holding the RA together in its twilight years, for his extensive collection of civil aviation materials including many thousands of QSL cards, and his links back to the golden days of MW/SW DX in NZ. I met with Ron quite a few times, he came out to North Beach to see us several times too…in later years he remained a friend of the NZRDXL. Very sorry to hear about Ron though I knew he’d been ill for some time. Ron and Wally Singleton were the glue that held the RA together. Well remember meeting them both at Shag Valley DXpeds on several occasions. Ron was very likeable and interesting to talk to. I met him at Chch airport where he was working one day and he insisted in taking Linda and I to the staff cafeteria for a cuppa. Ron’s home at 67 Dunbars Rd is a famous place-name in NZ DX history. Yes, another stalwart gone. I joined the RA in the late 60s while still at school, RA3190, and Ron and Wally were in their heyday. Another great contribution to the hobby. Thanks Ron. me a friendly message with his contribution. I knew he had not been well, and was greatly saddened to elarn of his passing. Stu Forsyth, Chief Editor, Cyberjaya, Malaysia.